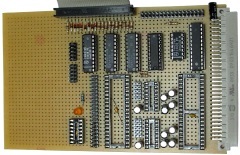 The basic functionality of the I/O board will include keyboard, parallel printer and RS-232 serial interfaces, largely based on the MTX computer design, as well as the decode logic for the I/O ports on the board. 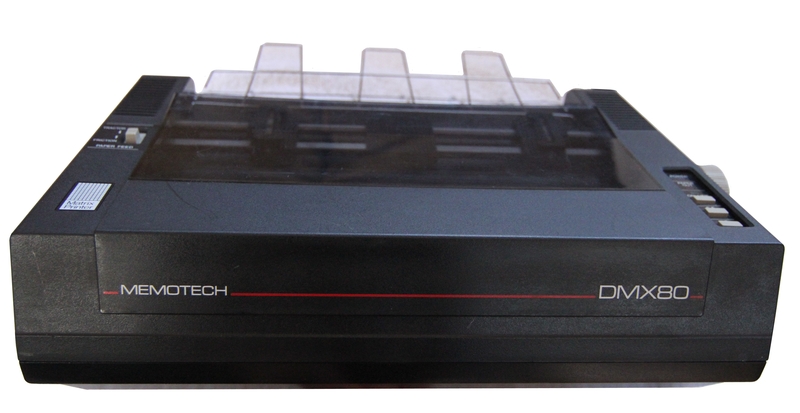 The MTX uses a Z80 DART (Dual-Channel Asynchronous Receiver/Transmitter), clocked at 4MHz, to provide the RS232 interfaces, the original intention was that MTXPlus+ would also use a DART, clocked at 4MHz to drive the serial ports. 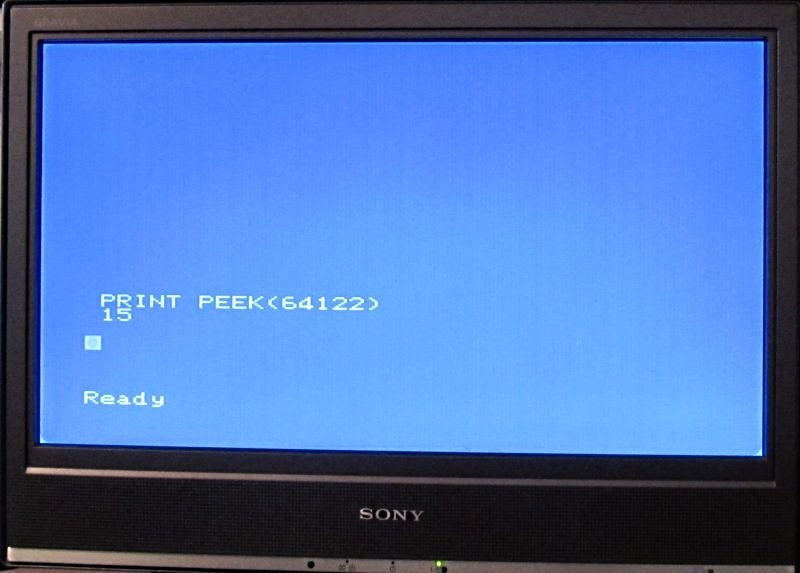 However, it became clear that the DART needs to be clocked at the same frequency as the CPU, so this would not have been acceptable for the 16MHz clock speed of MTXPlus+. Since the Z80 DART is only available in NMOS versions with maximum clock speeds up to 6MHz, for MTXPlus+, the Z80 DART will be replaced with the more versatile Z80 SIO (Serial Input/Output Controller). CMOS versions of the SIO are available with clock speeds up to 10MHz, still below the intended clock rate (16MHz) of the computer, but, the encouraging results that we have seen with over-clocking CMOS Z80 CPUs made us optimistic that a 10MHz SIO would be reliable at 16MHz - time will tell! The MTX keyboard interface will require the use of the keyboard from an MTX computer, this is fine for Martin and I, who can "borrow" keyboards from our MTX computers, but this is probably not an option for anyone else interested in building their own MTXPlus+. 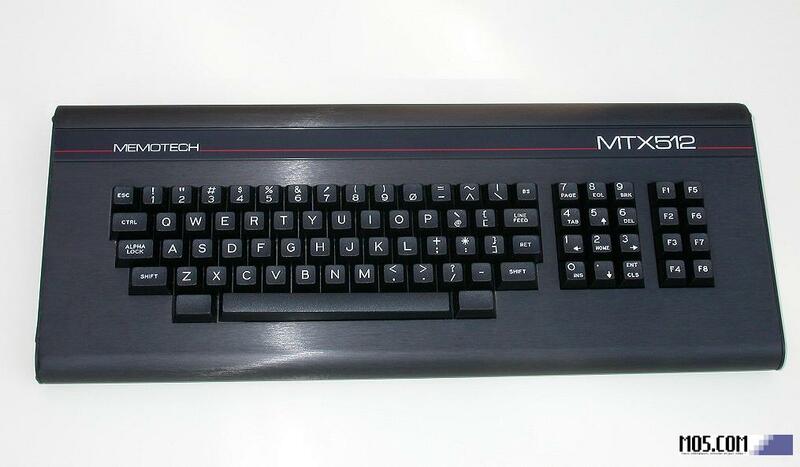 To allow the design to support the use of non-MTX keyboards, the board will include a new interface to enable the computer to use a standard PS/2 keyboard. 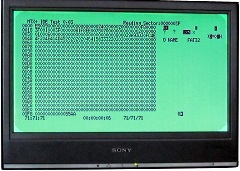 To maintain compatibility with the MTX, the PS/2 interface will need to convert the PS/2 key scan codes to the MTX keyboard drive/sense line I/O signals using I/O ports 5 and 6. The provisional design for the PS/2 keyboard interface uses a pair of Altera MAX7000 CPLDs as used on the MTXPlus+ CPU board, for much the same reasons as one is used on that board. 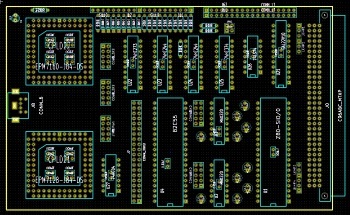 The interface will be based on the same principles as Andy Key's keyboard interface for ColecoVision, along with some of the VHDL in Andy's REMEMOTECH - a faithful replica of the Memotech MTX/FDX/SDX hardware running in the FPGA on an Altera DE1 "Development and Education" Board. In a similar way to how we did the CPU prototype boards, Martin and I will be using slightly different approaches for the basic I/O board and keyboard interface. 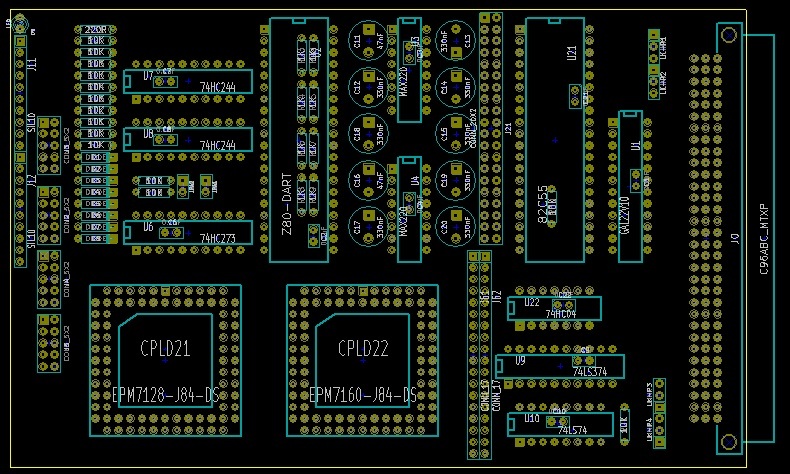 Martin's board will use the 74HC same keyboard interface components whilst I intend to try and fit all of the MTX like, discrete logic, into the CPLDs. 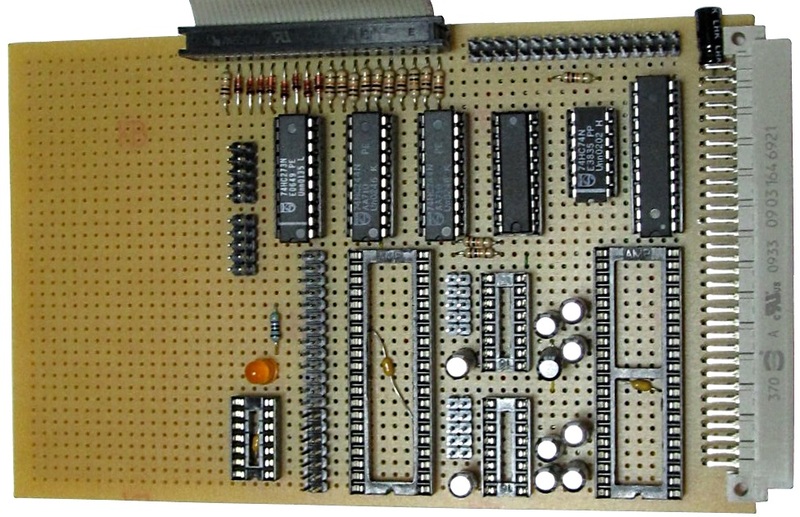 The draft schematic for the I/O board, including twin CPLDs that I plan to use to do conversion between a PS/2 keyboard scan codes and the drive/sense port values that an MTX computer expects to see. 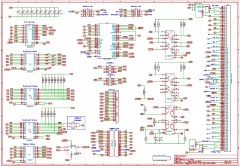 The schematic also includes an alternative implementation using discrete ICs for the I/O decode logic and I/O port interface chips for the board that Martin will be building. 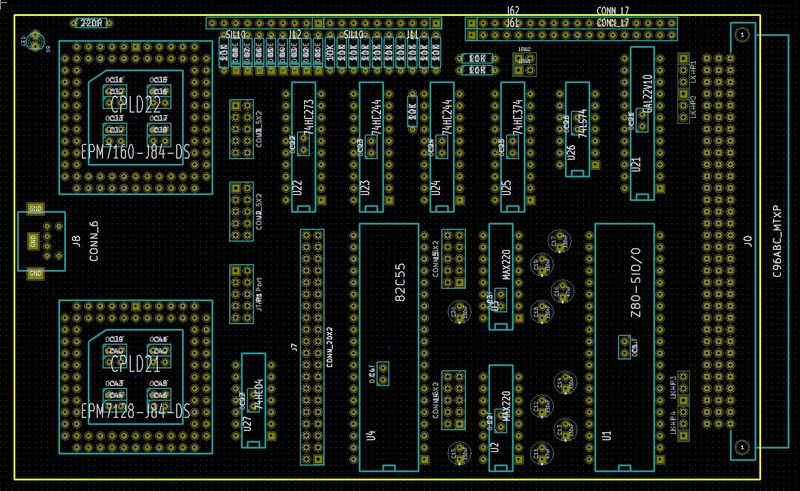 Initial layout of the twin CPLD board, at this stage, I was mainly focused on making sure that the intended components would fit the board and that the I/O port headers were accessible from the front edge. 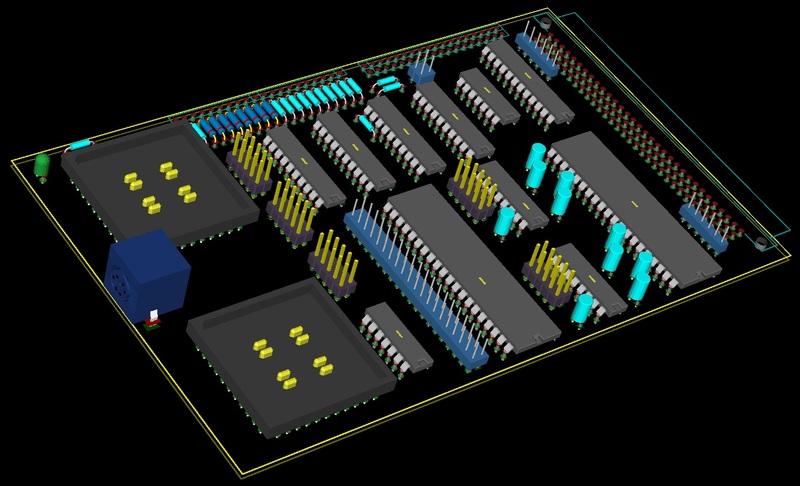 Although this layout was feasible and the components were loosely grouped by I/O device, it was not well suited to a phased construction and all of the wiring would need to cross over the CPLDs. 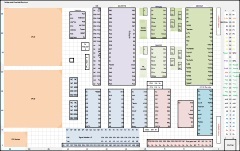 The second incarnation of the layout, this board has the components more clearly split into zones and the CPLDs better separated from the other components. 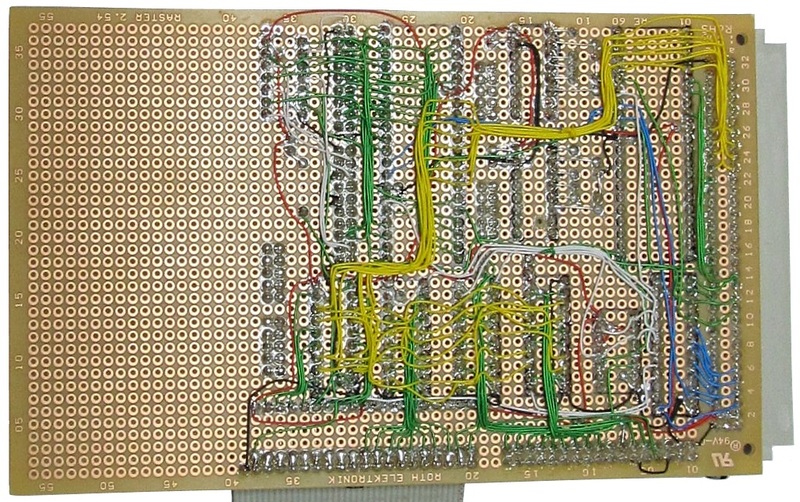 The 4 ICs in the upper centre of the board are the SIO and support chips for 2 x RS232 ports, using the same hardware as the MTX RS232 board. Typical of designs of the day, MTX serial ports needed +/- 12V DC supplies to drive the ports at typical RS232 voltage levels. 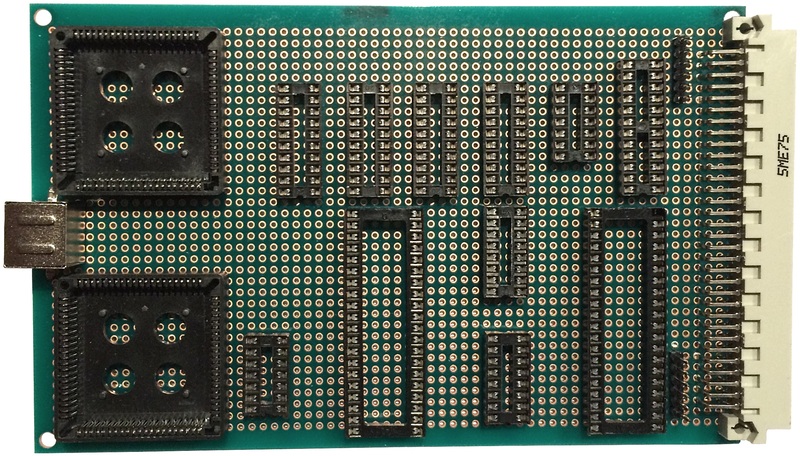 To eliminate the need for +/- 12 volts on the board, the legacy DS1488 and DS1489 have been replaced with 2 x MAX232 chips from Lez. This IC has internal charge pumps that generate RS232 compatible + /-10 volt lines from +5V, to do this, they each need 5 electrolytic capacitors. Due to the extra space required for the capacitors, 2 x MAX232s will be used to provide one fully RS232 compatible port with handshaking (like MTX Port B) and one port that uses the TTL voltages from the DART. 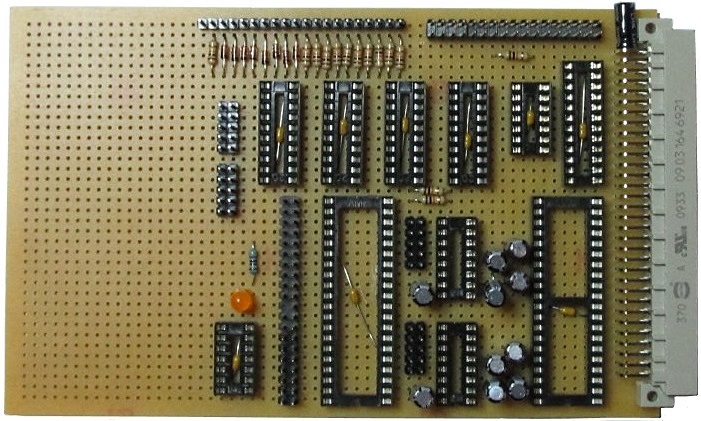 The squares at the left hand side are areas "blocked out" where the CPLDs and PS/2 keyboard connector will be placed on my board. 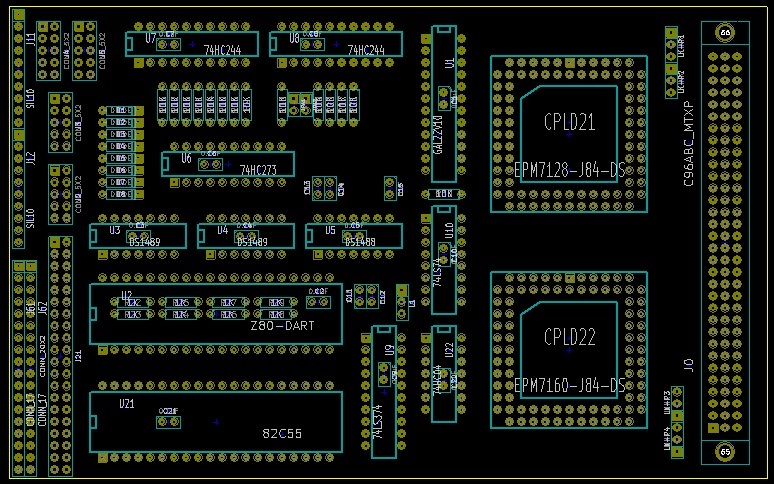 The layout allows both the CPLD and MTX hardware components to be placed, allowing me the flexibility to add the components from the older design should they be required. 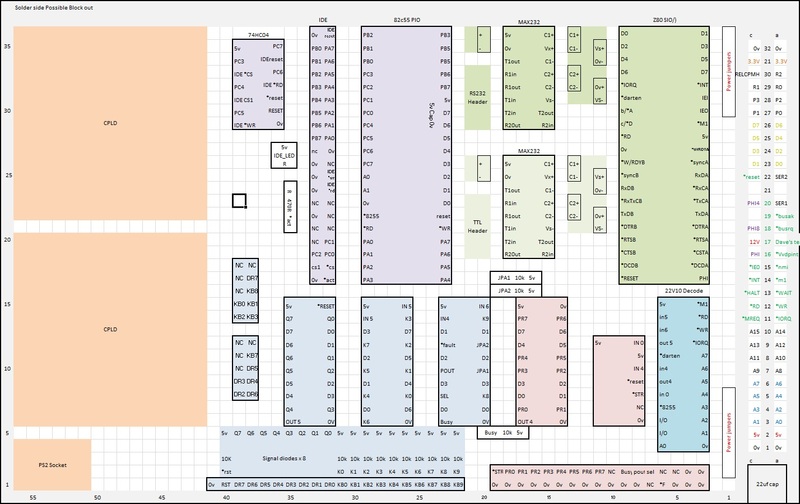 My version of the "final" layout, I have moved the CPLDs and PS/2 socket around a little, but the two layouts are essentially the same. Martin's prototype boards have a slightly different matrix than mine - being 1 hole wider and 1 hole shorter. 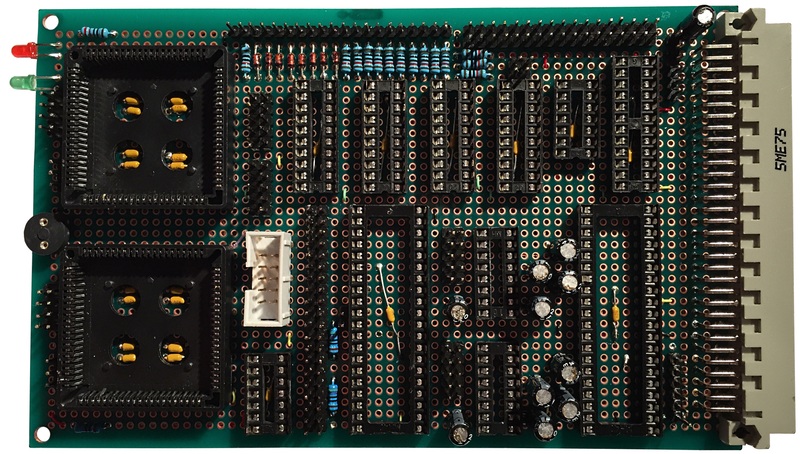 My Board, with the sockets for the major components placed to check the fit and ensure that sufficient space was left for the passive components and headers for the I/O devices. 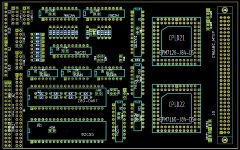 As seems to be the norm for MTXPlus+, the board will be pretty "busy" again, but should be build-able. Martin's board, with the passives in place. 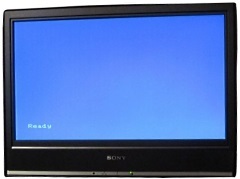 With a minimum set of components to installed to allow the system to be tested, including the keyboard and printer interfaces. Wiring side of Martin's board. Can you tell what is is yet ? 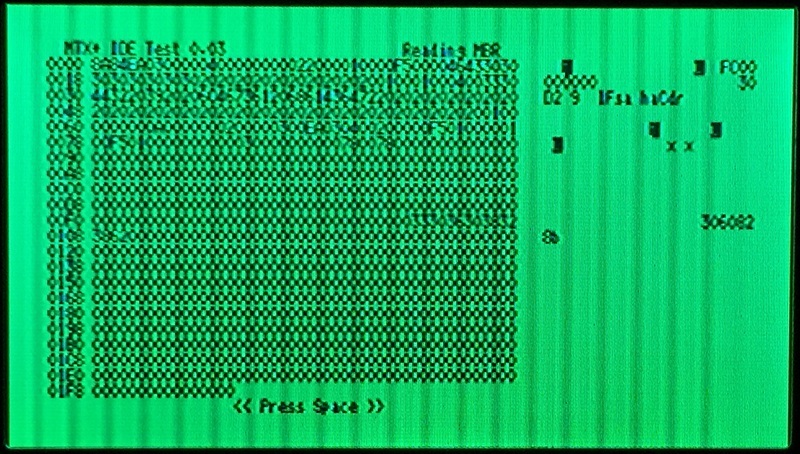 Yup - the Memotech MTX ROM running on Martin's MTXPlus+ hardware. Things are looking good, a minor error in the keyboard I/O port decode logic meant that keystrokes were not being recognised, but that was quickly fixed. Hopefully, I can press on and catch up before Christmas. In the foreground, you can just about make out Martin's DIY matrix keyboard driving the computer - although missing keycaps or other identification makes typing somewhat difficult ! Proving that MTX BASIC can see 512K of RAM . 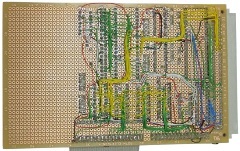 . . . .
Just waiting for Martin's first 512KB BASIC program now . . . . . . While I was lagging behind wiring my I/O board, Martin was able to start testing the IDE/CF interface by creating another of his test ROMs. 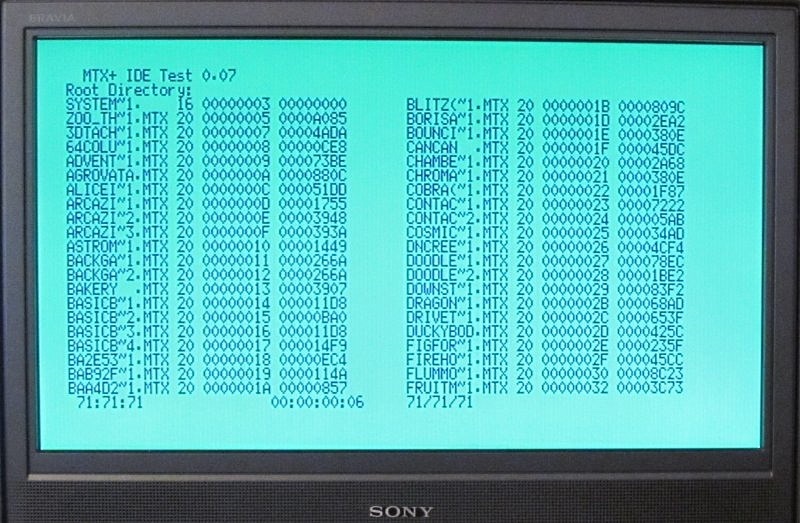 This is Version 0.3 of his IDE test code, the display shows a dump of the boot sector of the FAT32 partition on the 8gig drive. 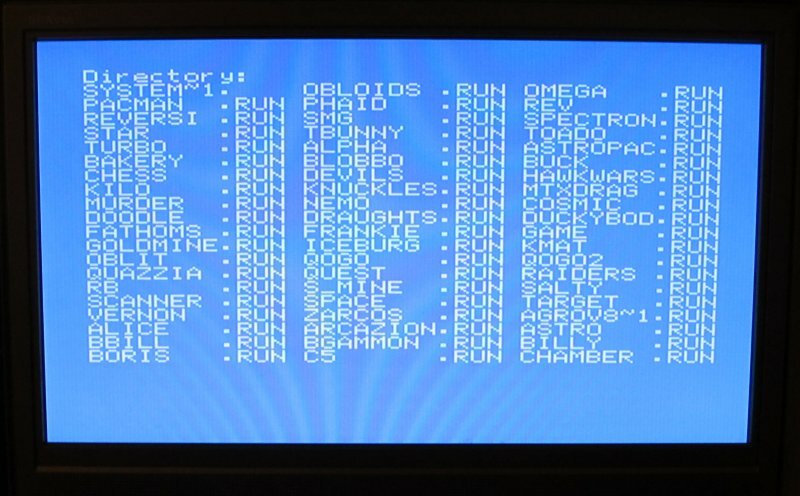 Now up to Version 0.7, this is the output from Martin's CF test ROM displaying multiple filenames from the root directory of the card. 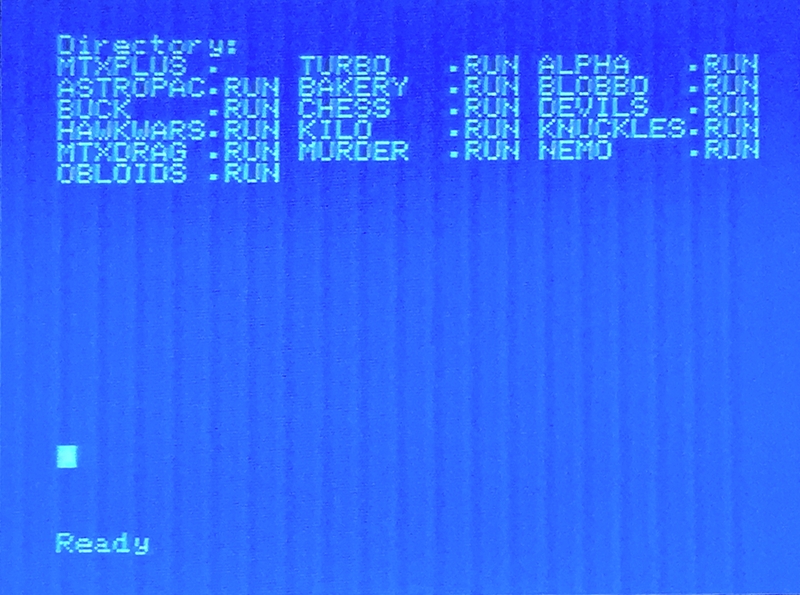 If you open the full size picture, you should recognise the filenames as some of the .mtx files that we have in the software library, displayed here with DOS 8.3 format filenames. 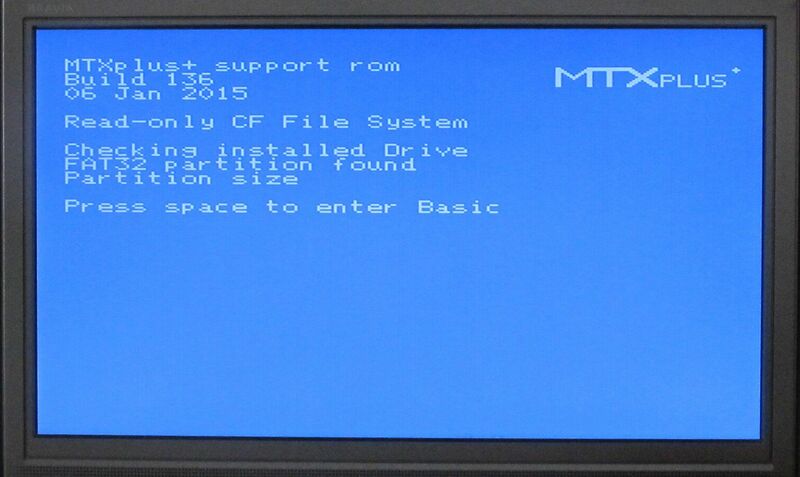 Still a work in progress, but Martin is making real progress with integrating the CF into the MTXPlus+ ROM (the actual CF code will be in the support ROM and called from the patched MTX ROM). 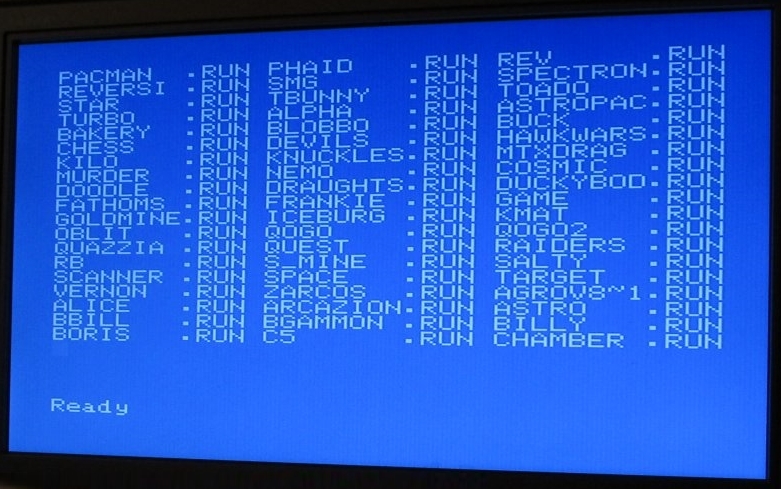 Another update on Martin's CF ROM code . . . . 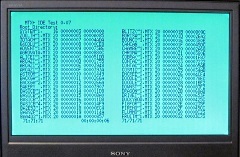 This picture is Martin's MTXPlus+ "Turbo" displaying a directory listing for the CF card in response to a modified MTX BASIC LOAD "" command. 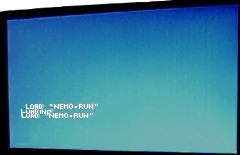 As the "LOAD" command does not normally return to BASIC, the directory listing would crash to PANEL when it was completed. 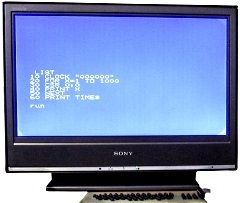 Martin modified the code to initialise the CF drive at start-up, with the ROM then looking for the CF at boot time, a check was added to ensure that the drive and card were present. 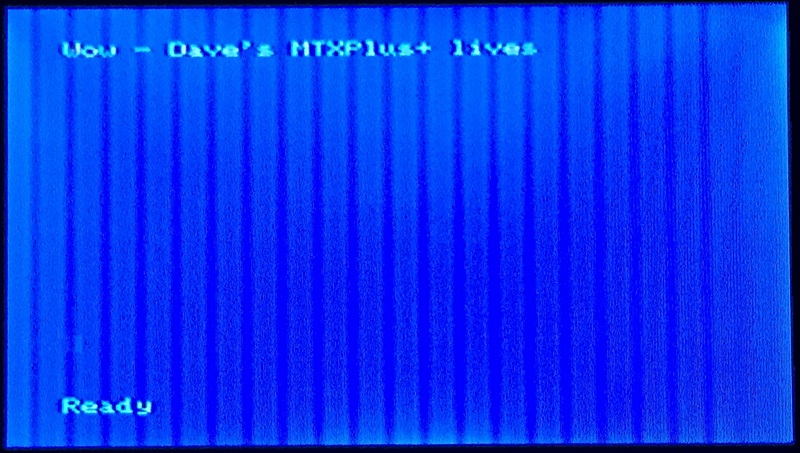 Leading to a new Boot Screen for MTXPlus+ - a nice touch. I have finally finished wiring my I/O board ! 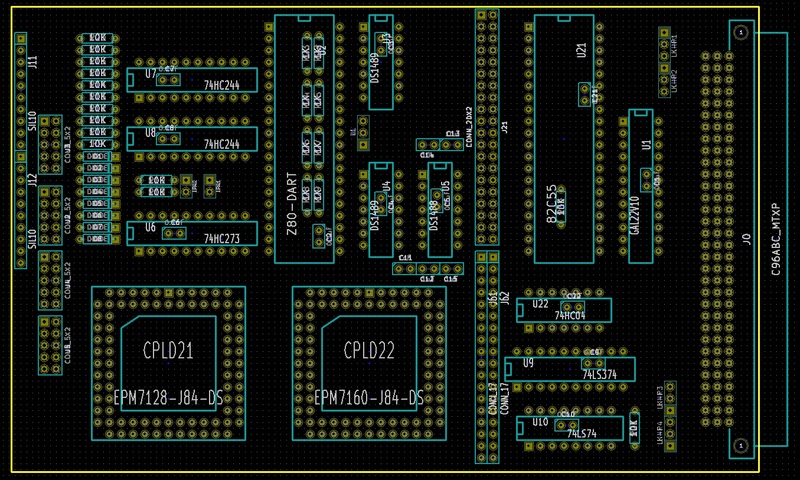 With the zoned board layout, I had intended to build the board in stages, starting with either the CPLD or discrete logic components required to connect a keyboard and add the other components later. When I started building though, it became clear that it would be better to wire up all of the components at one time, rather than try to add components and connections later. This took me quite a bit longer than I anticipated and meant that I slipped quite a way behind Martin - still, by the time I catch up, I'm sure that he will have written software to use the CF interface ! I made a couple of minor changes during the build, including, replacing the standard PS/2 keyboard connector with a header block. If I do put the system in a case, it will be better to have the PS/2 connector attached to the case, rather than the front of the I/O board. Some IDE devices, including the CF cards that we are using, are able to receive power via pin 20 of the interface so I connected a fused 5V line to pin 20 of the IDE connector - the fuse holder is located on the front of the board between the two PLCC-84 sockets. 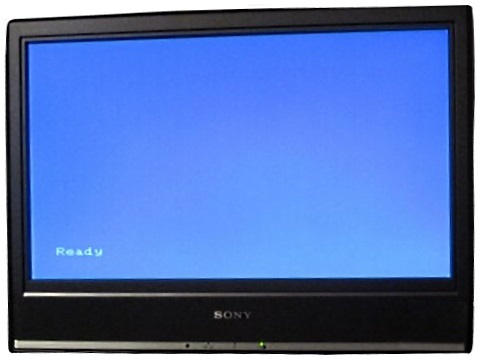 Note : due to space constraints over the holiday period, I did not have my system attached to a decent TV/monitor. 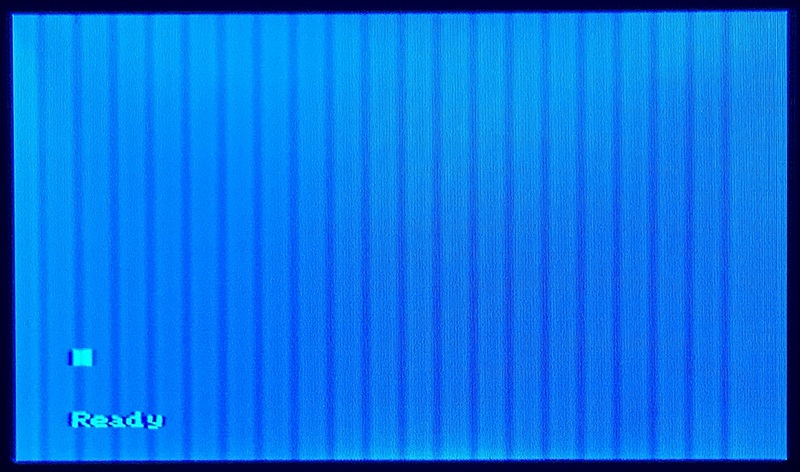 The screen images below were taken using my iPhone from my cheap 7" composite monitor. "As built" layout of my I/O board. Only limited connectivity testing had been done at this point. The wiring side of the board, as you can see, fully wired, there are a lot of connections - it was definitely a better, if much slower, option to fully wire the board at the outset, rather than trying to do it piecemeal. The only things not wired are the TTL RS232 port and the PS/2 header will be added when I try out the PS/2 to MTX keyboard logic. 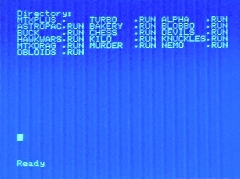 With the MTXPlus+ "megaROM" programmed with the standard MTX ROM images, the usual MTX BASIC "Ready" prompt was displayed, even before the I/O board was connected. 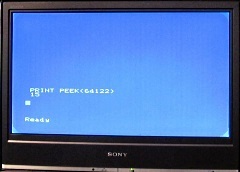 At a similar stage, Martin's system produced an "SE.B" error message, likely due to the system reading invalid data on the keyboard drive/sense lines. My CPU board has pull-ups on the data bus that appear to stop the bad data generating the BASIC error. The tests that I wanted to do were with the proven MTX keyboard interface using the discrete logic chips - a GAL22V10 (U21), a 74HC273 (U22) and 2 x 74HC244 (U23 & U24). 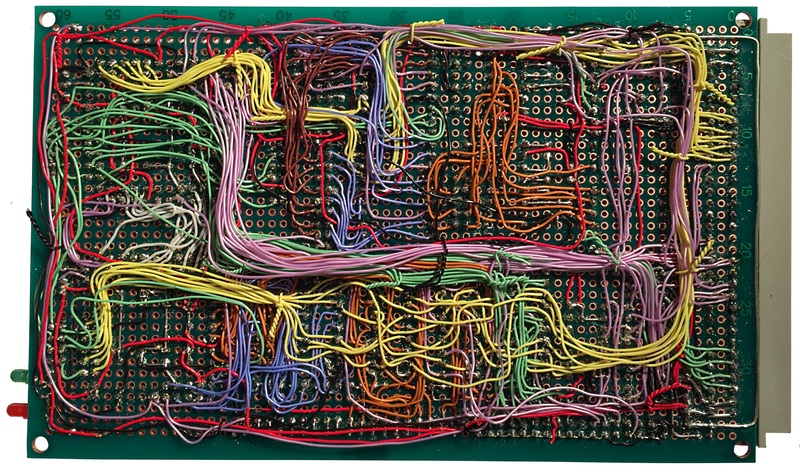 When doing some final checks before I plugged the I/O board in, I discovered that I had made an error in connecting the address lines to the GAL - I probably confused myself when working on the underside of the board, the address lines to the Z80SIO (U1), 82C55 (U4) and the CPLD are correct though. This wasn't too much of a problem - apart from the fact that I don't have a copy of any GAL programming software currently installed. Martin kindly produced a new GAL program for me with my "customisation" included. The system can "see" all 512KB of RAM, PRINT PEEK(64122) returns the expected "15" for the number of 32KB RAM pages. 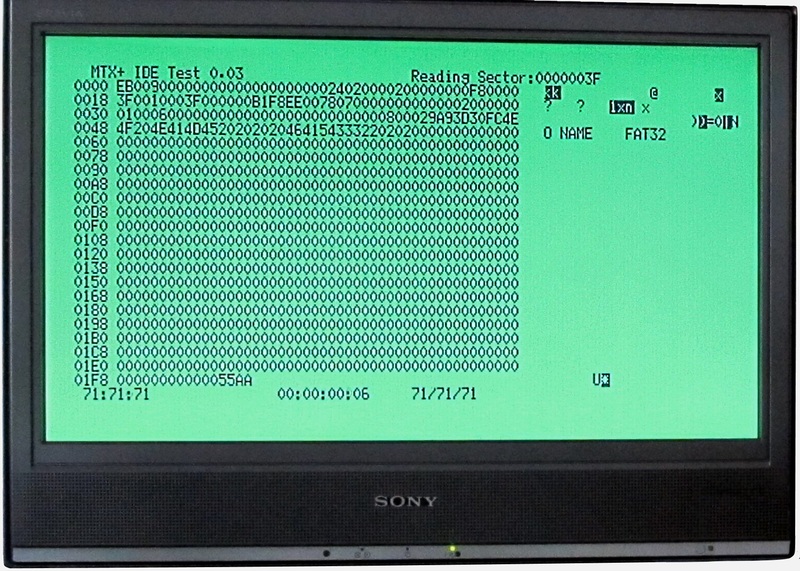 To test the IDE/CF interface, the 82C55 PIA (U4), 74HC04 (U5) and the IDE power jumper (JP3) were installed. 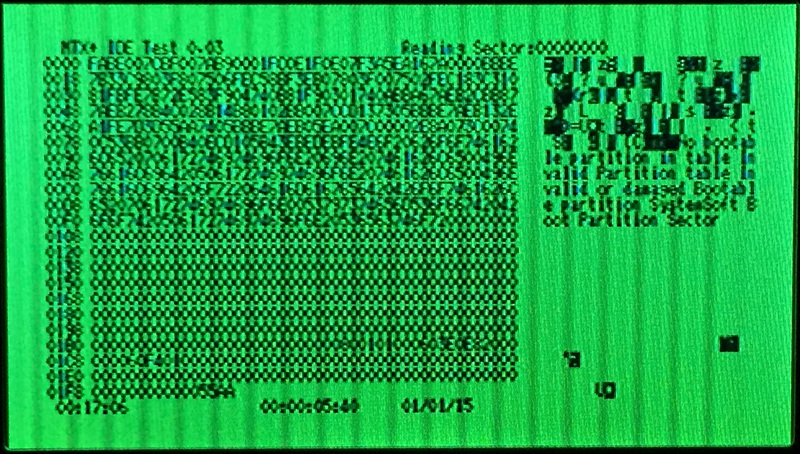 The ROM was programmed with Martin's IDE test ROM and booting the system showed that the CF card could be read, beginning with the Master Boot Record (MBR), as shown. 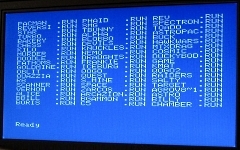 Pressing the <space> bar causes the program to step through the "disk" sectors and display the contents as shown. And with the MTXPlus+ support ROM installed, the system can quite happily use the CF card. After adding a 74HC374 (U25) and 74HC74 (U26), the printer interface was tested with my Memotech DMX80 printer (previously donated to me by Jan Seyfarth). The printer interface worked with no problems, when I can think of a more "interesting" photo of the printer in action to post - I will.